After eight seasons, HBO’s "Entourage" is calling it quits with its last episode airing this Sunday, September 11. To celebrate, HBO has released an iPhone/iPod touch app called iAriGold. 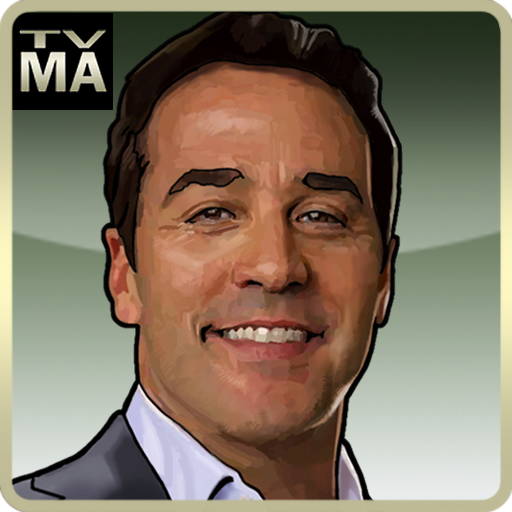 Strictly for adults, the app offers recorded classic quotes from series co-star Jeremy Piven as agent Ari Gold. Available for free, iAriGold has one goal: to make you laugh. It does so by providing 30 of Ari's most famous quotes, all which are crude and vulgar. Sample quotes include those on “f&ck new years eve,” “don’t p&ss on the sand,” “I like to fake,” and many more. To access the recordings, select one of three categories – Soundboard, Scan, and Ask Ari. The first lists each topic on a two-by-five board that looks a lot like the one on “Jeopardy,” except with fewer boxes. Tapping on a box begins the playing of the quote. For random quotes, select Scan or Ask Ari. The first “scans” your thumb and then plays a quote; the second does the same with a double tab. "Entourage" fans will love the iAriGold app and for those readers, it comes highly recommended. Still, keep it away from the kids. The app is available today in the App Store.